Stay hydrated while contemplating identities with this new Divergent 18oz Tritan Water Bottle. Made from durable Tritan plastic, it features an insulated double wall design that resists condensation and a straw is included. 3 x 4 x 10 inches. A day of fun awaits you today, so get out and play! 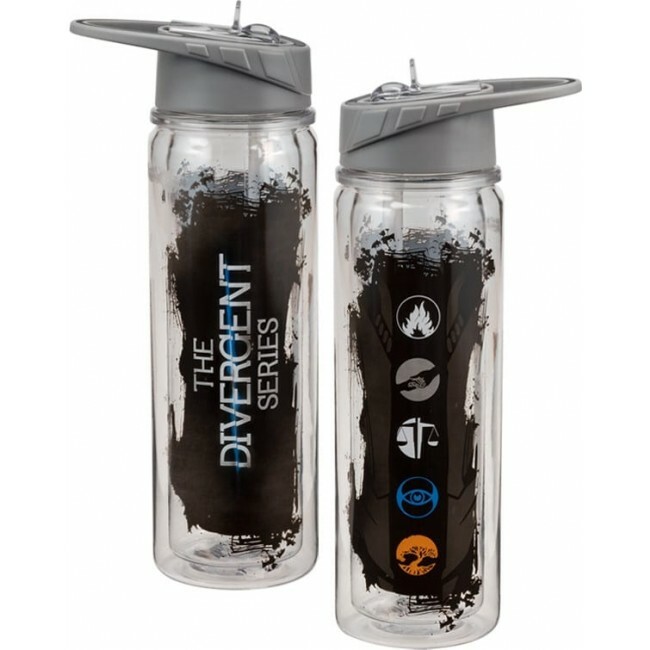 Stay hydrated along the way with the new Divergent 18oz Tritan Water Bottle. This sporty water bottle is BPA-Free, reusable, recyclable and has a spill-proof sport lid with straw. Made from durable Eastman Tritan plastic, it features an insulated double wall design that resists condensation. 3 x 4 x 10 inches.